It’s an ingredient known to cooks around the world and available to shoppers everywhere, but in Emilia-Romagna, you will never see a kitchen table without a bottle of balsamic vinegar. ‘It’s like a magic thing that sleeps during the winter and gets crazy during summer,’ says three-Michelin-starred chef Massimo Bottura, who credits the sauce as ‘running through his veins’. It can sell for as much as €200 but it’s also one of the most misunderstood condiments around the world, with so many variations of the historic sauce that are real and unreal. We’re here to help with a guide to balsamic vinegar so you know what to look out for and how to enjoy this quintessential taste of Italian tradition. The first historical reference to balsamic vinegar dates back to 1046, when a bottle was reportedly given to Emperor Enrico III of Franconia as a gift. By the Middle Ages barrels of vinegar were preserved and given as gifts within Italy’s upper class thanks to its reputation as a miracle cure, good for everything from sore throats to labour pains. To this day in Italy, really good balsamic vinegar is also enjoyed neat as a palette cleanser, aperitif or digestif, especially on special occasions such as weddings. The name ‘balsamic’ comes from the vinegar's original use as a tonic or balm. In 1965 the term Balsamic Vinegar of Modena was coined, meaning the condiment had to be created within the the region for it to be authentic. It could only be worthy of the name ‘Modena’ if it followed the exact technical method and included specific ingredients. 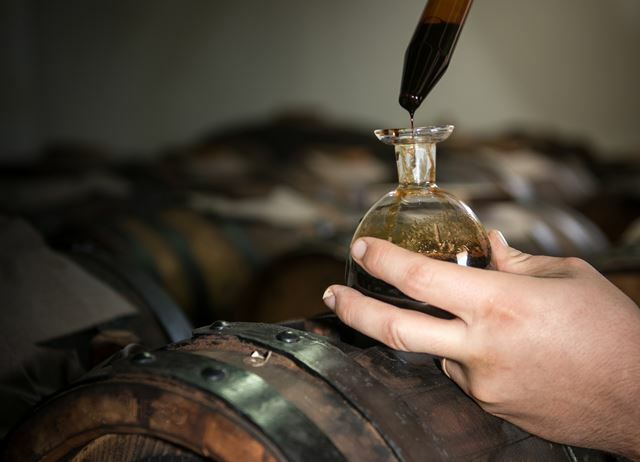 In the 1980s the vinegar then took two forms: Traditional Balsamic Vinegar DOP, which must follow the ancient method and ingredients, and Balsamic Vinegar of Modena IGP, which can be produced using more modern technologies and other ingredients. This is the ultimate Italian vinegar. Made only in Reggio Emilia and Modena using traditional methods, production is overseen from beginning to end by the Traditional Consortium, an organisation that ensures all the ancient processes are adhered to. Traditional balsamic vinegar begins with grape must – whole pressed Lambrusco or Trebbiano grapes complete with juice, skin, seeds and stems. The mixture is cooked over a direct flame until reduced by half, then left to ferment naturally for up to three weeks. 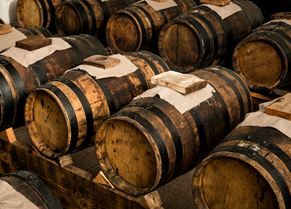 The liquid is then matured for a minimum of twelve years in barrels made of different kinds of wood which get smaller over time. Every year the smallest cask in the sequence provides a few litres of vinegar, while the largest cask is topped up with new grape must. It takes at least twelve years of maturing for the vinegar to reach the perfect balance of aromas and flavour that allows it to bear the title of Protected Origin Denomination (DOP). 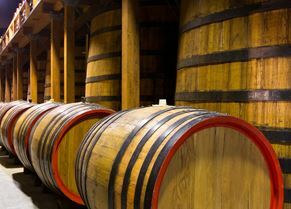 The vinegar gets thicker and more concentrated as it ages because of moisture evaporating through the walls of the barrels. Because of the multi-barrel process it’s difficult to tell how old the final product is, so a tasting commission of five expert judges convenes to taste the vinegars and determine an appropriate grade and no age is printed on the label. In Reggio Emilia, traditional balsamics are graded affinato (fine) and bottled with a red cap, which roughly corresponds to a twelve-year vintage; vecchio (old) which has a silver cap and corresponds to a fifteen to twenty-year vintage; or extra vecchio (extra old), with a gold cap, which roughly corresponds to a twenty to twenty-five-year vintage. In Modena there's just affinato, with a white cap, or extra vecchio with a gold cap. In 1977 Chuck Williams first sold balsamic vinegar to the US market. It proved an instant hit and as a result, supply could not meet demand. This led to a rise in poor quality imitations flooding the market, as the DOP protection only covered the very finest, most expensive vinegars produced, leaving the mass market without any regulation. That's where the IGP designation comes in. Introduced by the European Union in 2009, IGP guarantees that the product is made from grape varieties typical of Modena (Albana, Ancellotta, Fortana. 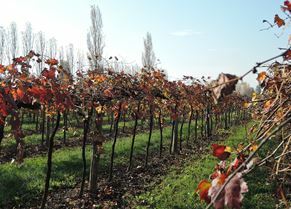 Lambrusco, Montuni, Sangiovese, and Trebbiano), though the grapes can be from anywhere and only need to be processed in Modena. This is the only way balsamic vinegar from Modena could be produced in volumes sufficient to meet global demand. The grape must is cooked in pressurized vats and aged for at least two months in large wooden barrels – there is no fermentation stage. 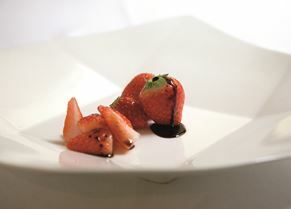 Balsamic Vinegar of Modena IGP must contain at least ten percent wine vinegar to bring its acidity to at least six percent and twenty percent grape must. It cannot contain any additives except up to two percent caramel colour. It is still a 'real', authentic balsamic vinegar, just different to the more traditional DOP variety. Most home cooks use balsamic vinegar in salad dressings but, while it does taste fantastic, it can be used for so much more.It adds a huge depth of flavour to soups and stews, works well as a marinade and is fantastic drizzled over ice cream and berries. Balsamic Vinegar of Modena IGP is perfect for cooking with because it can be reduced down into a thick sauce. In fact, one of the simplest things to do with IGP balsamic vinegar is to boil it in a saucepan with some sugar to create a syrup that accompanies a broad range of dishes. Traditional Balsamic Vinegar DOP, however, shouldn’t be cooked with; heat will destroy its distinctive bouquet. Likewise, it is wasted as an ingredient in a salad dressing. Instead, use it as a simple seasoning to allow the flavours to shine through. Try putting a few drops on fresh berries, Parmesan or creamy desserts like panna cotta, zabaglione, or vanilla ice cream. It's also excellent drizzled over traditional veal scaloppine, a rich risotto or the Italian meat stew bollito misto. Add about a teaspoon per person just before serving to get the best of its flavour.